Puffed up cotton balls of clouds floated lazily about as the paddock readied itself for the upcoming grand prix. The latest victim of Montezuma's revenge (aka penalty - palooza) was Danny Ric, saddled with a brand new engine and the grid penalties that accompanied such largesse. 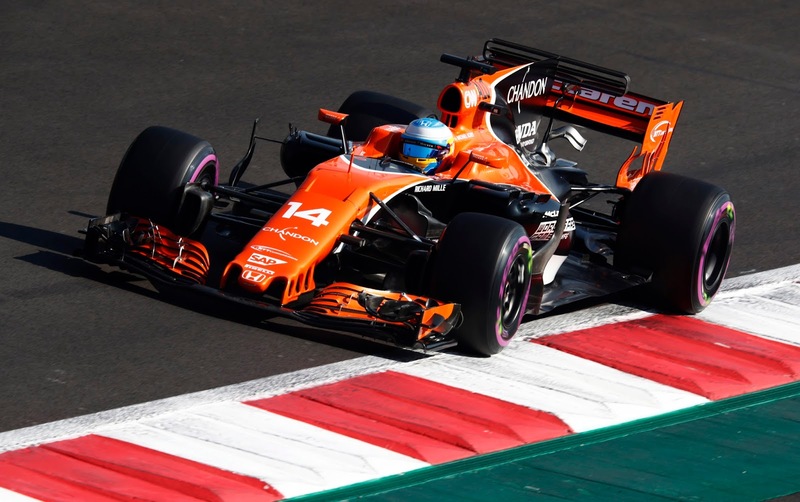 He was in good company, along with both Toro Rosso's and their destroyed turbos and the Macca's, victim of Honda's development scheme and or their own failings, depending on one's point of view. Regardless, one wonders whether Red Bull are having any misgivings about ignominiously ditching Kvyat who scored points for them and knows the layout of the Mexican GP, for Gasly, who not only doesn't know it, but due to their technical issues, will, essentially be learning it from lights out (sim driving aside, natch). According to Pirelli, strategy-palooza was a one-stopper, Ultras for 30ish laps then Supers, barring a safety car. Optionally, one could go for a 16ish laps and run to the end on Softs or even a 2 stopper, Ultra, Ultra Super or variations thereof, depending on traffic. Sainz v Hulkenburg is on like Donkey Kong and it will be interesting to see Perez trying to make up ground to Ocon. 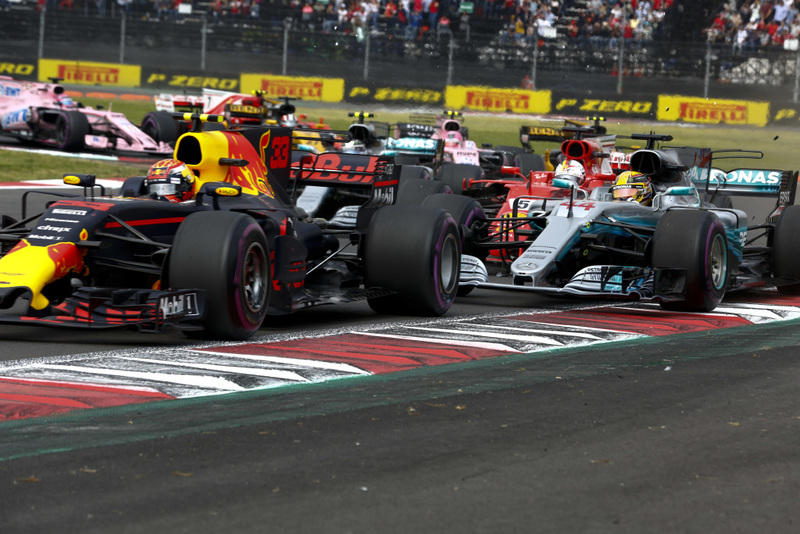 With Hamilton needing to just finish 5th or better, the fun at the front will very much be down to Vettel vs Verstappen, though it was bandied about Hamilton's race pace looked savage on Friday, which could thoroughly confuse the issue. Lights Out!!!! Kicking start from Verstappen and alongside Vettel into T1 he went, and some minor contact, with Hamilton right behind, slicing the apex just in front of Bottas who had also gotten a superb launch and was smart enough to not leave the nose of his car sitting there. Verstappen kept it full alongside Vettel to take the inside on the next turn, along with the lead on exit and leaving Vettel exposed to Hamilton. Lewis took full advantage and was alongside and by exiting T3. Verstappen, sensing the threat left his car wide and as Vettel was on the throttle to try and continue the battle, he was right into the rear of Hamilton who was forced to lift (or be late on the throttle) to avoid contact with the Red Bull. The damage was maximum for Lewis, a puncture that that effectively demoted him to dead last, as he rolled gingerly round the track doing untold damage to the floor of his car, a long stint on Softs ahead of him with massive time loss. Vettel was in too, having destroyed his front wing on the back of first Verstappen and then Hamilton's car, but far ahead of Lewis, sole possessor of P19, also on the Softs. Sainz was in for the Softs as well, an ultra long one stopper now on his agenda, possibly the victim of debris from the Vettel's front wing. The championship effectively over, with Vettel needing to finish P1 or P2, and the the front of the grid suddenly wide open, it was Ocon in P3, followed by Hulkenberg and Perez. Bottas had slotted into P2 during all the chaos, but was lingering 0.3 seconds or so off the pace of Verstappen and by lap 10 was roughly 4 seconds back. Lap 6 meanwhile, saw Ricciardo in and race over, blown turbo destroying pretty much all the fun he might've had in the race, and putting a sad face emoticon on this entire trip for him. Vettel was busy getting to grips with his task, up to P16 and onto the back of Massa, who was making his car as wide as possible. Hamilton, meanwhile, had almost caught up to the back of Sainz, still running dead last. Alonso and RoGro also had a bit of a tangle, with the Macca taking quite a chunk out of the side of the HAAS, as he made the overtake. Lots of radio handbags followed that incident as it was announced the stewards were going to ignore the first lap entirely. Lap 13 and it was Vettel finally getting the job done on Massa, again with much dramatic commentary as Vettel was squeezed fully off track and reentered AHEAD of Massa. No immediate word of savage inquiries as Vettel took to the radio to defend himself in advance of the accusations that were sure to follow. Ricciardo's turbo failure was starting to echo through the pitwall at Red Bull, as the failure was on a brand new engine, combined with the dual failure of the Toro Rosso's meant it was likely to be a race of conservation at the front as engineers chewed their keyboards raw. Lap 16 and it was Grosjean, square in Vettel's sights, the gaping maw of his DRS waiting to pounce. Not quite enough and it was going to be the start of the next lap before Sebastian finished the job. Other oddities of the carnage early on was Ericsson circulating IN the points. Lap 19 and Perez in for the Softs as Alonso was given leave to swap positions with his teammate and try and crack the nut of Ericsson in the Sauber. Further back it was Wehrlein slowing up Sainz and as a result, Hamilton that was causing the points leader to bleed massive chunks of time to his main rival, slightly further up the field. The Sauber was also gifting DRS to the Carlos, making lewis' job just ever that much harder. Keener eyes than mine also spotted that Hamilton was also running with a broken front wing endplate, also not doing him any favors in his bid to get round the Renault of Sainz. Lap 22 and Hamilton officially was given the blue flag to let Verstappen by. The prior lap it was Ocon in and out with a new set of Softs, running P5 on exit, just behind Stroll who had chosen to stay out. At the front, Verstappen, Bottas and Raikkonen continued to circulate on the Ultras. Lewis' inability to follow Verstappen also raised the possibility of floor damage from running in with his puncture. 3 laps later and Sainz had the gearbox of Wehrlein dialed in as Hamilton loitered, letting his teammate by and sounding baffled on the radio about his inability to follow. His team told him to leave room and focus on cooling the car as his temps were marginal. Yikes!! Hulkenberg suddenly out of the race and told by his engineer that the car was not safe, and he needed to exit the car by jumping off the nose, i.e. not creating a ground and potentially electrocuting himself. As if Sainz early stop had not already postponed the battle royale between the teammates to Brazil, this well and truly stuck the knife in. Lap 28 and problems or no, Lewis got himself round Sainz and from the sounds of the radio traffic, it was the tyres not working as anticipated thanks to the loss of aero from his first turn adventures. But the team were on it and strategy alternatives were being percolated through the boffin's brains as Hamilton continued to struggle with his wounded mount. P8 for Vettel as Verstappen approached the optimum pit window as predicted by Pirelli, having made his way by Alonso. Gasly put on a show getting by the mangled HAAS of Grosjean and Massa cleverly followed suit. But it was Hartley stealing focus in lap 32 with his car billowing smoke and told to rock the car into a safe place. Bang!! Virtual Safety Car and in for Verstappen and Bottas, out on the Supers. Hamilton was in as well and back on a set of Supers. 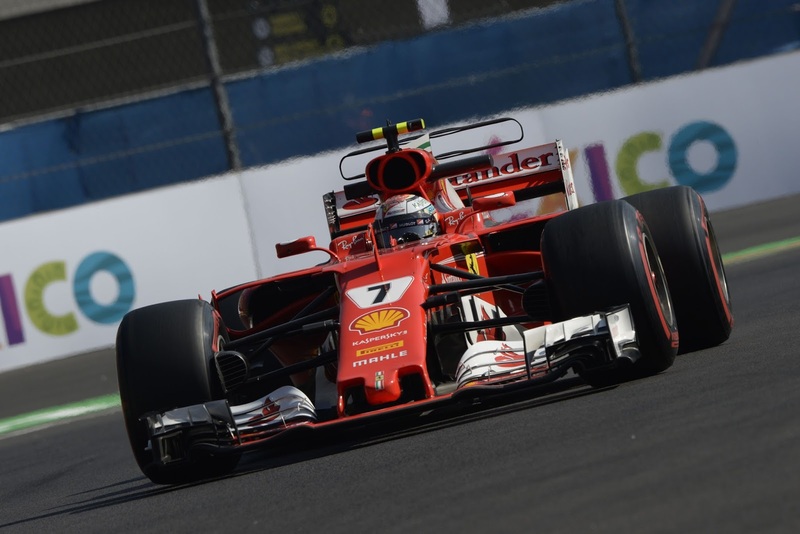 Raikkonen opted for Softs and the next turn, it was the Ultras for Vettel, who had cleverly saved a set from qualifying. Lap 34 and it was game on with the green flags back out. At the front it was Verstappen, Bottas and Raikkonen. Ocon and Stroll rounded out the top 5 with Perez within 2 seconds of the Williams. Lap 36 and Vettel was making best use of his Ultras, cracking off fast lap and reeling in Magnussen, P7 in sight, but with Bottas plugging up P2, much ado about nothing at the moment, but given the massive failure rate of Renault, not entirely over either. Hamilton continued his pursuit, taking P14 off Wehrlein without breaking a sweat, but he was looking further up the grid, asking the team if the Ultra's would last to the end. but with 20 laps to go and 35 seconds between Sebastian and Raikkonen in P3, the math didn't favor Vettel catching his teammate, much less Bottas another 20 seconds up the road. More immediately, it was Gasly the immediate problem for Lewis, targeting getting to the points and ending Vettel's chase permanently. Vettel continued to push, getting round the recently immovable object of Magnussen as Hamilton did the job on the sole Toro Rosso. Red Bull, now very, VERY concerned about Verstappen's engine, asked him to cover Bottas' pace and not push, to which the Dutchman agreed. One lap later, the radioed back and told him he'd matched his previous lap, to which his only reply was laughter. 27 laps to go, and 20 seconds to P10 for Lewis who was about to despatch Ericsson to the depths from which he'd temporarily emerged. 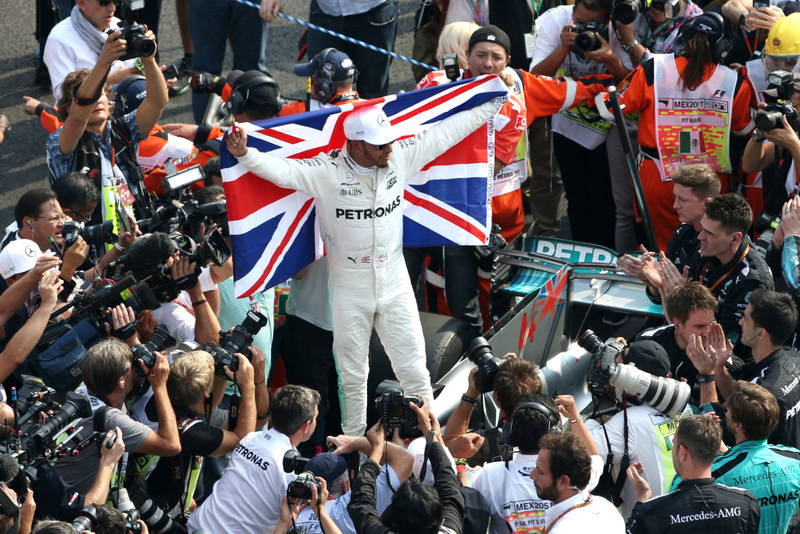 7 more seconds and it would be P9, putting WDC beyond reach and at the limit of what Hamilton could achieve. Lap 47 and Mercedes confirmed they felt P8 was in reach and as the WDC receded in possibility, the spectre of a late race Safety Car became the sole focus of the telly, despite the amazing trio of Ocon, Stroll and Perez circulating in P4-P6. Lap 50 and it was Perez next up for the chasing Ferrari as Hamilton rocked up another personal best to close the gap to Vandoorne, his next target. Up the inside at the close of the lap with a glorious lock up and Vettel was by, with Stroll 4 seconds up the road and running a full second a lap slower than the Ferrari. Perez was in and out for new tyres as he had a huge pit window behind him, losing no positions and gaining a set of yummy Ultras to finish out the race and maybe do the job on Stroll. Hamilton was into DRS on Vandoorne with 18 laps to go. Into the next lap and job done as Vettel lined up Stroll for P5. That went exactly as one might expect leaving Ocon 3 seconds up the road and 2 seconds a lap slower. Being a well timed see-saw, as Vettel closed the gap, Hamilton was into the DRS of Massa, a tougher opponent for the Mercedes. Lap 57 and by Massa he went, into the points, an aggressive move round the outside that stopped a few breaths at Mercedes' garage, while at the front, Ocon finally yielded to the inevitable. Ericsson became a momentary diversion as he rolled into the pitlane, engine a proper bonfire and race done. 11 laps and Alonso was next on the menu for Hamilton, whilst a massive 20 second gulf confronted Vettel to his teammate in P3. 10 laps, 20 seconds, highly improbable as at best Vettel had a second a lap in hand. Magnussen in P8 was giving Alonso a helping hand in the DRS department, stretching out the gaps down the straight as Lewis tried to keep the car running in cool air till he felt like he had it in hand. 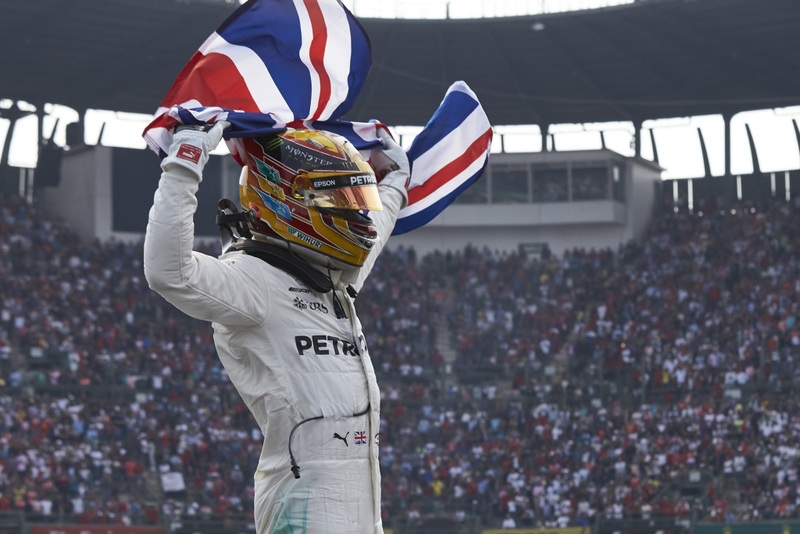 The aero loss from damage was making the stadium section harder for Hamilton, losing him time that was proving the difference down the straight. 5 laps to go and Alonso pulled a vicious chop maneuver at the end of the straight to keep Hamilton back. Lewis kept it up and out of T4 he lost the rear end and had to reset. The battle did take Alonso out of DRS on Magnussen as Perez looked to catch up with Stroll with a lap or so to go. Lap 68 was a repeat of except it was Hamilton making the most of it and after a brutal 4 turn melee, cutback, inside-outside and finally it was Lewis getting it done. Or not, as Alonso was on the radio just asking innocently if Hamilton might've left the circuit. Which the replay made clear didn't happen but still, all the tools were deployed in defense. Last lap and it was Verstappen, swanning it round for his victory but all eyes on Bottas as he hit the line for it was job done for Mercedes, clinching the WDC for his teammate now a 4 time winner and the most succesful WDC ever from Britain, surpassing Jackie Stewart. Head in hands as he rolled down to the far end of the straight, it was not doubt going to be a stunning party tonight as the tension in the garage finally was released. Vettel applauded him as he went by and he rolled over to a marshal halfway through the lap, grabbed a Union Jack and rolled it round to do some donuts for the crowd. During the celebrations, it was worth considering that 5 of 6 Renault engines were retired today, something that will perhaps be a wee bit of a concern back in Viry, and perhaps, in Woking as well. 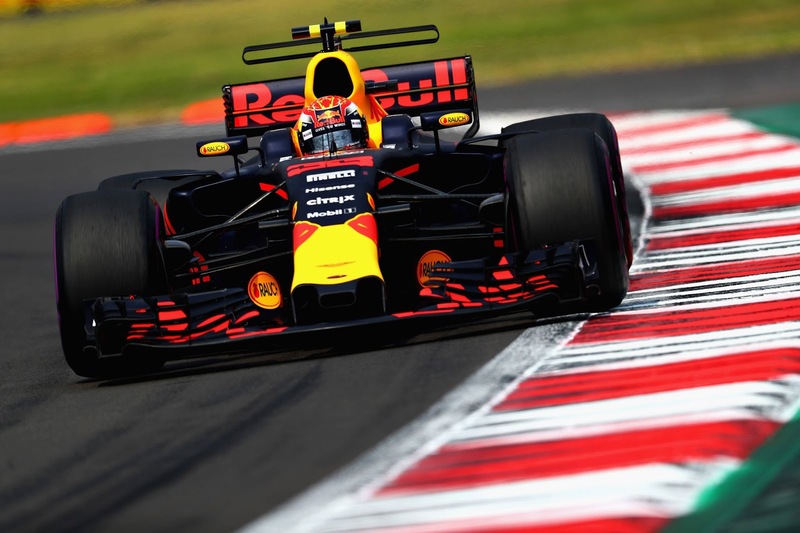 No matter, as the only one to make the finish was in the winning car, the Red Bull of Verstappen. 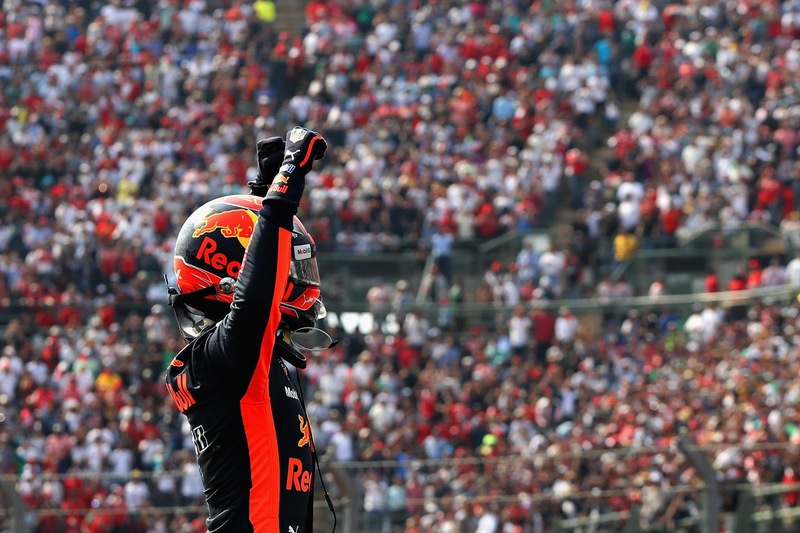 Which of course confirms the Red Bull ditch Kvyat and Max wins theory, but leaves one wondering what sort of sacrifice might be necessary in the future? Bottas gets the award for best teammate of the season, as not only did he not destroy Lewis in the first lap, backing out and giving him room, but his mistake free drive guaranteed that Vettel had no chance to extend the championship, as well as a podium for himself and perhaps some redemption in the team after his torrid stretch of races. Raikkonen held up the flag for Ferrari, taking P3 but it was the chasm back to Vettel that became championship defining. The young bloods had their day as well, cracking P4 for Ocon,and P5 for Stroll, but it's possible that Force India left some points on the table as pitting Ocon lap 21 when he was under no threat of the undercut trapped them behind Stroll when the VSC was called. The only way by was to stay out, but that limited their pace for the rest of the race, and left them both helpless when Vettel came a calling.